The government has the power to hold drone operators accountable when they operate the remote-control aircraft over restricted airspace, such as wildfires. Drones, growing in popularly among hobbyists, pose a heightened risk to air operations in fire-suppression efforts, because the small aircraft could cause collisions with tankers that drop fire retardant just a few hundred feet from the ground. In an effort to prevent drones from interfering with firefighting activity, the Department of the Interior recently enhanced a service that provides access to near real-time wildfire locations in select areas around the country. “As the 2017 wildland fire season gets underway, this improved service should greatly reduce the incidents of drone incursions on wildfires and enhance the safety of our firefighters and the communities they work so hard to protect,” Mark Bathrick, director of Interior’s office of aviation services, said in a prepared statement. Federal law says that it’s illegal to resist or interfere with firefighting efforts, with rules specifically aimed at banning unnamed aircraft systems, such as drones, in no-fly zones. Drones, growing in popularly among hobbyists, pose a heightened risk to air operations in fire-suppression efforts, because the small aircraft could cause collisions with tankers that drop fire retardant just a few hundred feet from the ground. 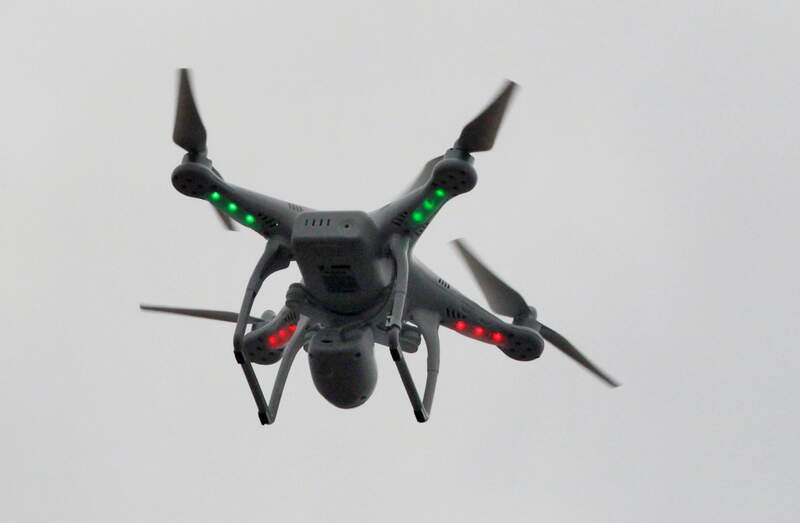 “People who illegally fly drones over or near wildland fires do threaten the safety of firefighters and the effectiveness of wildfire operations,” Dan Bender, spokesman for La Plata County Sheriff’s Office, previously said. Representatives with the Department of the Interior did not immediately respond to requests for comment Tuesday morning, so it’s unclear whether the expanded program is showing more signs of success. According to a June 9 announcement, the new service is called “Current Wildland Fires” and can be accessed through the Geoplatform ArcGIS Online Organization. Last year, the service included fires reported only by the Interior, U.S. Forest Service and two states – Alaska and Texas – within the past 72 hours. This year, however, all fires reported in the last eight days will be listed with location data, with the addition of Wyoming, North Dakota and Los Angeles County, California. It’s unclear when Colorado many be added to that list, though the announcement said the program plans to increase coverage to include more federal, state and locally reported wildland fires. According to the announcement, there were 42 reported drone disruptions during wildfire suppression efforts in 2016, causing fire managers to either delay or cease aerial support to firefighters. Recently, firefighting operations for the Lightner Creek Fire were disrupted at least four times over the course of four days, according to the La Plata County Sheriff’s Office. Three suspects were contacted, and a fourth case remained under investigation, Bender said July 5. The cases were referred to the Bureau of Land Management, which did not immediately respond to requests for comment Tuesday morning. The disruptions caused two air tanks to jettison about 1,600 gallons of retardant, which cost between $8,000 to $10,000. The Interior Department said in the announcement that it’s working in partnership with other agencies to “enhance public awareness, establish notification protocols, and enforce penalties when violations occur” about drone disruptions. Several campaigns, such as “If You Fly; We Can’t” and “B4UFly,” were created with this goal in mind. To use the service, create an account on the GeoPlatform ArcGIS Online Organization at https://idp.geoplatform.gov/registeruser.html. Then, visit https://geoplatform.maps.arcgis.com/home/index.html and sign in using the GeoPlatform.gov account. Search for the group “Current Wildland Fires” and request to “Join this group” to gain access to wildland fire location data.